We're celebrating fall! 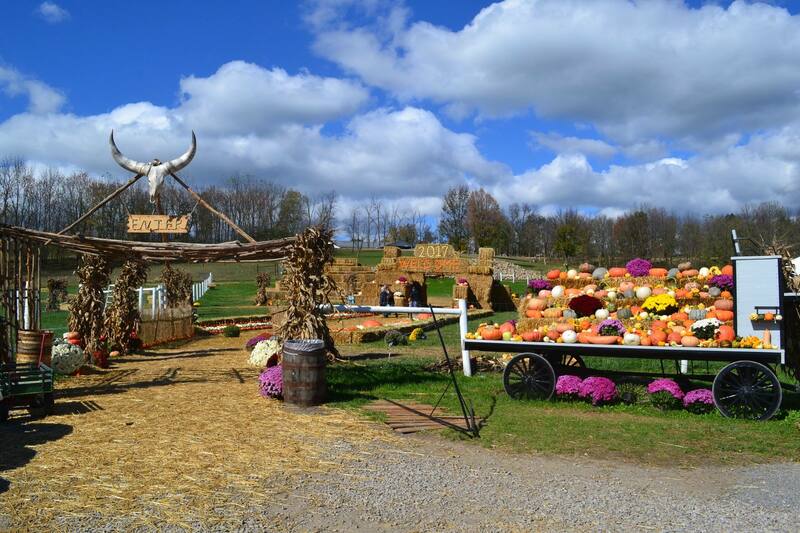 There is something for everyone each year at “The Farm at Walnut Creek’s Fall Festival,” located at Walnut Creek, Ohio. Food available to purchase is Hot Dogs, Kettle Corn and Ice Cream. Regular Admission rates will apply. Cash or Check only. The Farm will open at 8:30am and will stay open till dark. The last horse drawn wagon ride will depart at 6:00 pm. Food is not included with admission rate. The horse drawn wagon rides are available on a first-come, first-served basis. The Farm at Walnut Creek is home to more than five hundred domestic and exotic animals from six different continents most of which roam freely throughout “The Farm.” Among some of the animals to be found are giraffes, Grevy zebras, dromedary camels, red tail kangaroos, swamp water buffalo, watusi, elk, nubian goats, African spur thight tortoises, Vietnamese Pot-bellied pigs, Percheron draft horses, Sicilian donkeys, Rhea, Ostrich and six different types of cattle including Scotch Highland cattle. 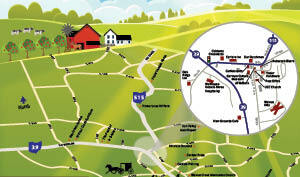 Don’t forget to tour two non-electric Amish houses and the many barns located on the property. “The Farm at Walnut Creek” is a fun and educational experience for people of all ages. For more information, please call 330-893-4200.